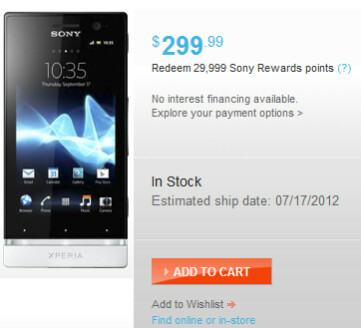 Three of Sony's latest Android handsets are now available in the U.S. directly from Sony or Newegg.com. 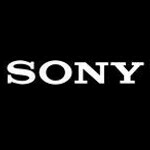 The Sony Xperia S, the Sony Xperia P and the Sony Xperia U are offered unlocked and can be used on either AT&T or T-Mobile's bands. Those using the former will be stuck using the carrier's 3G network while the latter's HSPA+ 4G pipeline will be available for the trio of Sony handsets. Priced at $559.99, the Sony Xperia S is available in black or white and offers a sleek design with a translucent stripe that separates the very bottom of the device from the top and houses the phone's antenna system. It is an unusual design and the stripe also lights up. The first Sony handset made since the buyout of former joint venture partner Ericsson comes with a 4.3 inch screen with a resolution of 720 x 1280 and a very high pixel density of 342ppi, a figure that tops the Retina display on the Apple iPhone 4S. The slightly curved handset is powered by a dual-core 1.5GHz Qualcomm MSM 8260 Snapdragon processor and the Adreno 220 crunches the graphics. 1GB of RAM is on board while 32GB of native storage graces the device, which is just as well considering the lack of an microSD slot. The 12.1MP cameras on the back awakens rapidly from sleep mode and captures 1080p video in 29fps. A 1.3 front facing shooter takes self-portraits and enables video chat. A 1750mAh battery keeps the lights on. The device now has Android 4.0 installed. 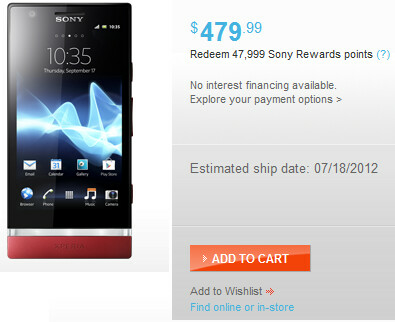 The Sony Xperia P can be purchased in silver, red or black at a price of $479.99. The 4 inch qHD display uses Sony;s WhiteMagic technology designed to make the display the brightest of any other smartphone on the market and should allow for great viewing, even while outside on a sunny day. The panel enjoys a decent pixel density of 275ppi and has a dual-core 1GHz processor under the hood, 1GB of RAM and 16GB of native storage. Like the Sony Xperia S, there is no microSD slot on the phone. An 8MP camera on back captures video in 1080p and there is a VGA front-facing shooter. A 1305mAh battery is included and Android 2.3.7 is installed. The translucent strip is also on this model as well. That leaves the Sony Xperia U not only is there the translucent strip on the bottom, with this device you can slip off the bottom of the phone and replace it with a "cap" of a different color. It's a bit of extra customization for the entry-level model priced at $299.99 in black or white. The phone is equipped with a 3.5 inch screen with a resolution of 480 x 854 and pixel density of 280ppi. A dual-core 1GHz processor runs the show while 512MB of RAM is on board. 4GB of native memory is included with the device. Again, there is no microSD slot. On the back is a 5MP camera with AF and LED flash that shoots 720p video. There is a front-facing .3MP camera. Inside the handset is a 1320mAh cell and Android 2.3.7 is installed. If you're interested in ordering any of the three models, visit the sourcelink. It would probably be a great idea to read our reviews of the Sony Xperia S, P or U. The Sony Xperia S and U are expected to ship on tuesday with the Sony Xperia P showing a shipping date for this Wednesday. Newegg prices are a lot lower than what you guys mentioned here. Considering the availability of Xperia Ion with LTE ($50 on contract & $450 off-contract), I wonder who'll be interested in Xperia S.
I agree. If I was an AT&T customer, the Sony Xperia ion would be my phone of choice. Sony has been doing well with upgrading a lot of it's phones to Android 4.0 ICS, so I know an update for the Xperia ion shouldn't take too long. Well, that's provided that AT&T doesn't slow the process down. Yep - good thing about sony phones are that they are identical all over the world. So unbranded ICS ROMs will be available for Ion in no time (Ion is already shipping with ICS in some countries) and XDA has this awesome thing called 'flashtool' for Sony phones. So I'm not too worried about ATT slowing down the process. I'm gonna debrand it anyway to get rid of the ATT bloatware. My bro got mine when he was in germany like 2 months ago...Sony just sent me my replacement model like a day ago.